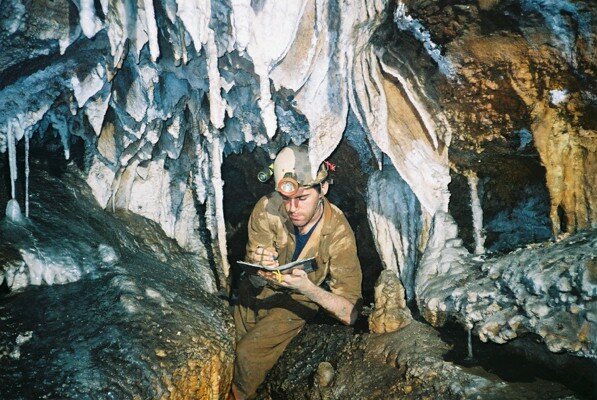 I first went caving in China for a month in 2004 to the remote mountains of Yunnan in the southwest. I since returned to explore 5 other areas in Sichuan, Gansu and Chongching Municipality. All these expeditions have been under the auspices of Hong Meigui Cave Exploration Society, an organisation set up by American and British Cavers. Yunnan 2004: A high limestone plateau rises to over 3000m in height with a major resurgence over 2000m below in the gorge of the Yangtze. Despite this potential we found few caves of significance, but did enjoy spending time with the Tibetan yak herders in the mountains. Tian Xing 2005: Tian Xing is in Chongqing Municipality and is the main deep caving area in China. We continued exploration in Lanmu Shu Dong (above) and Liu Chi Ao Kou Xia Dong, including connecting the two systems. 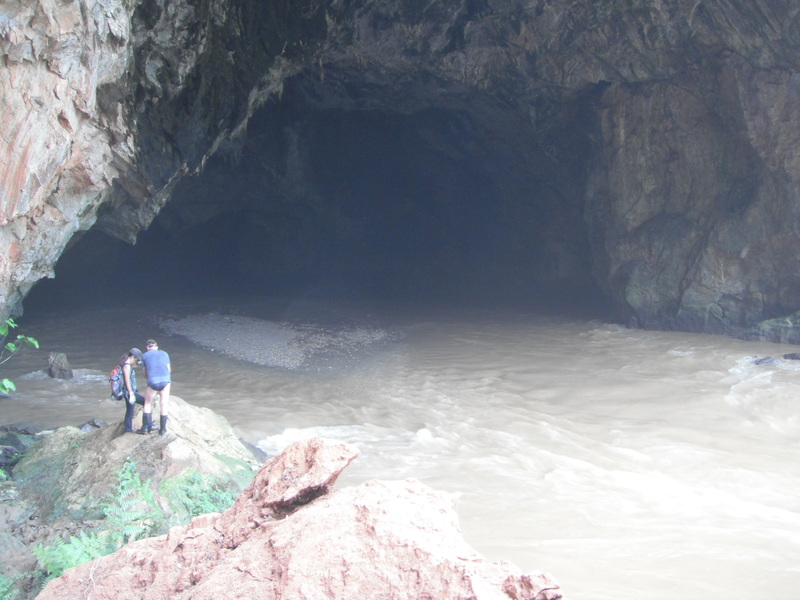 Yanyuan 2006: Part of a reconnaissance expedition to several areas in Sichuan, we saw plenty of karst geomorphology, but few extensive caves. Houping 2008/09: This small area in Chongqing Municipality contains some of the longest and most complex caves in China, it was a privilege to contribute to their exploration. Wudu 2009: A largely fruitless reconnaissance to the remote province of Gansu, inhabited by a significant Buddhist Tibetan population. Cangyuan 2012: One of three trips to this area of Yunnan by British cavers to explore the massive Sigangli Dong, and associated resurgence (below) and descend a nearby Tian Keng (a large open shaft).